Labor of Love | Movies | Style Weekly - Richmond, VA local news, arts, and events. 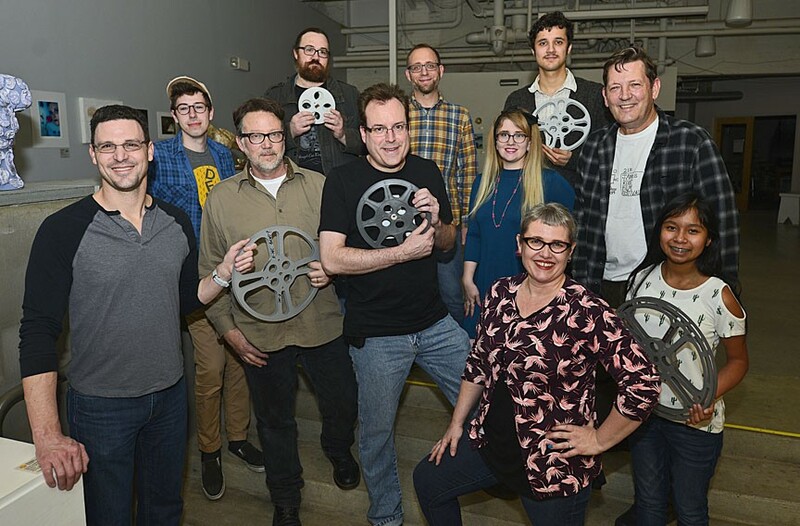 Family in Film: At a recent local filmmakers’ forum, volunteers and James River Film Society members included Todd Starkweather, Coleman Jennings, Ken Hopson, Bobby Morgan, Jeff Roll, Jesse Tolj, Meghan Riley, Dokotah Coates, Jennifer Tarrazi-Scully, Mike Jones and Velma Jones. In 1994, Richmond was a different place. There simply wasn't as much happening. Not as many restaurants, music venues, art galleries, breweries, maybe one film festival — basically just the Civil War statues. We were on nobody's "cities-to-watch" list, in other words. Having recently graduated from college, I was using my English degree as a server in the restaurant industry, working three jobs. Probably as a cry for normalcy, I audited a film class at Virginia Commonwealth University that involved shooting on Super 8. The professor, Joan Strommer, asked if any of us wanted to volunteer at an inaugural avant-garde film festival: the James River Festival of the Moving Image. 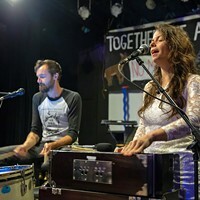 Intrigued by the weirdness factor, I signed on to help with the new festival, working the merchandise table at the Byrd Theatre, scoring a free T-shirt and wearing it until it fell apart a few months later in San Diego. I had moved to California before even finishing my final class project: a nonsensical parody of "Pulp Fiction," which was still in theaters, starring a salty bartender from Twisters. By the time I moved back a decade later, the festival had started its own nonprofit, the Richmond Moving Image Co-Op, and shortened its name to the James River Film Fest, which is still going strong. Over the past 10 years there's been increased competition, though. That includes more events such as the Richmond International Film Fest, the Afrikana Film Fest, and last year, the Pocahontas Reframed Festival. 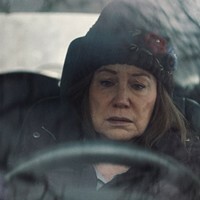 Still, nobody aims for independent and cutting-edge cinema quite like the pesky James River festival — the little mom-and-pop film series that could. 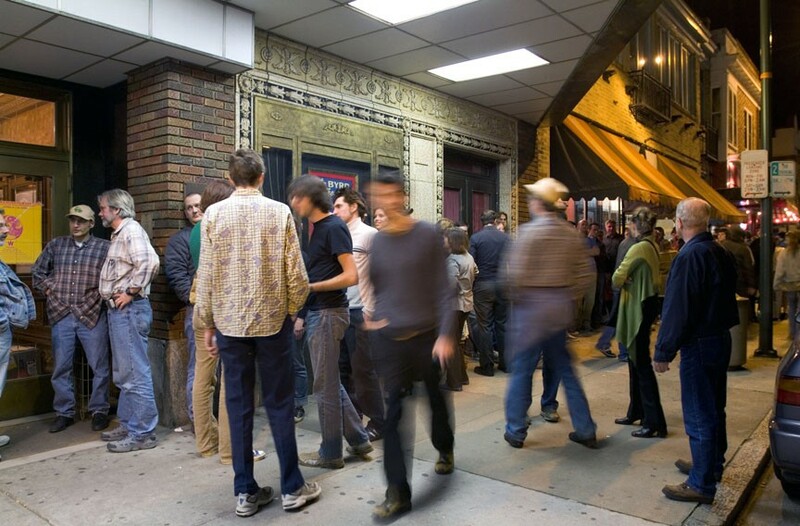 Crowds gather outside of the Byrd Theater for the 2005 festival. 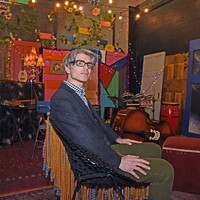 Mike Jones, co-founder of the festival, started out managing the old Biograph Theatre before becoming an adjunct film professor at VCU in the early '90s. He also had programmed Art Afternoons at the Byrd. My idea for a festival was we would take any funding we could get [from VCU] and bring a special guest in, then use the local film community to fill in — use their films, book some new films and classic experimental stuff. The Virginia Film Festival in Charlottesville started in the late-'80s, and they brought in classic films. The first year they had Robert Altman. I thought if they're going to do classics then we'll focus on independent stuff. So we were posited as an antithetical to the Charlottesville fest. They were in the fall and we were in the spring. Now, many years later, they're doing more of the kind of stuff we've always done. Co-founder Joan Strommer taught in the photography and film department at VCU. She's now retired and lives in Minnesota. There was a short film competition connected with [the festival], real elaborate. Mike and I overestimated the amount of work we could do, so it was exhausting. Ashley Kistler was a member of the founding committee in 1993 before the festival started. She was working then at the Virginia Museum of Fine Arts, providing a liaison to one of the festival's early venues. As an assistant curator in the early '80s, part of what I did was to program film and video series. When I started out, I went to Mike Jones. He was focusing on film in a rigorous and comprehensive way before anyone else was in Richmond. … So I just became involved with the festival as it started. There was a really hungry audience, especially in those early years. There was not a lot of opportunity for alternative films back then. And you think it's bad now! Actress Lynn Lowry (“Shivers” and “I Drink Your Blood”) signs memorabilia at the 2005 festival. Mike has a wonderfully inclusive way of programming. He devoted a lot of attention to highlighting local filmmakers — that has continued to the present day. Mike Jones: [When we started] It was a small local scene of filmmakers: VCU had one of the only MFA programs in film in the state. Filmmaker David Williams was around — he had later success in the '90s with "Thirteen" [It's screening March 15 at the Richmond Main Public Library at 1 p.m.] So we started having meetings: Trent Harris, Joan Strommer, Ashley Kistler, Howard Risatti, chair of the art history department. Risatti had taught with William Wegman, and we didn't have a lot of money for a guest the first year. Wegman was hot because of his dog calendars, the Weimaraners, so he ended up being our first guest. He was one of the very first experimental videographers, short little things with his dogs, so it worked. Trent Nicholas, founding member and former Biograph Theatre employee who also taught at VCU in the art history department, and now works at VMFA as a media programming coordinator. This has always been a mom-and-pop festival, which is so different from most film fests that have corporate backing. Mike has answered to nobody except for us, the people who've had input. We've survived by dedication, smart choices and an ability to get major figures here and major films. … And it's all volunteers. I don't think we were ever interested in corporate sponsorships. We wanted to be our own independent curators. It was always an efficient budget — we always thought we could pull the next one off. But individual donors have been important, from those people who love film. Camaraderie is a big part of it. As you know, Mike and his wife have a big cookout every Saturday night that just pulls everyone together, you get to meet the artists, hang out. That's sort of like a gift to the volunteers. Mike Jones: We didn't have any money, but still premiered 12 films that first year on 35 mm. But the fest almost didn't make it to its second year. The secretary in our department at VCU didn't like being burdened by the extra administrative work, though. There were film cans stacked up everywhere. Eventually after five years, [VCU] just said they couldn't deal with this anymore. That's when James Parrish got involved. James Parrish was co-director, vice-president of James River Film Society from 1999 to 2013. Earlier, he started the local Flicker (dedicated to Super 8 and 16 mm films) and helped co-found the Richmond Moving Image Co-op in March 1999, to get the festival nonprofit tax status. When I met Mike, I had just moved from Chapel Hill and was making Super 8 films, and Mike was a big Super 8 guy, he was a creator. I established the third Flicker in the United States. I wanted to propagate the DIY film stuff during the transition to digital video. … I would say we found each other at the right time. We decided to form a nonprofit: the James River Film Society. So we took James River Fest of Moving Image and formed Richmond Moving Image Co-Op, because we wanted to support local filmmakers, and Flicker was part of that. We were both very engaged in incubating a local scene. That led to James River Filmmakers Forum, and more of a commitment to local filmmaking. This was before Project Resolution and 48 Hour Film Fest. There was a lot less going on. Ashley Kistler: When I first saw it, director Charles Burnett's "Killer of Sheep" made an immediate impact — it's amazing and aesthetically gorgeous. So I suggested him as a guest and everyone agreed. He came from Los Angeles and was here for the entire weekend. Very generous with his time and was interested in the city. 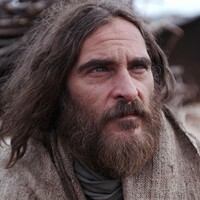 He then came back not long after to direct a film for the Virginia Film Office. So his visit did seem to spark his interest. Mike Jones: The third year we had Stan Brakhage, he was like our idol, working in this abstract expressionist format. He paints on film. I remember him at the Virginia Museum and he had one of those bead looms, like at summer camp? He had 70 mm clear acetate stretched across it. So we're showing his films inside and he's sitting outside using markers and painting, layering them, making films. Later they're printed on film and projected like moving stained glass windows. I saw all these little kids walk over to him and watch him, just entranced. And he's telling them what he's doing. That was exactly what we hoped would happen. James Parrish: [Filmmaker] Jonas Mekas had written this "Anti-100 Years of Cinema" manifesto which was at Cannes. It was very inspiring. It was basically a poem written about how there's all this talk and celebration of 100 years of cinema, but no talk of Super 8, underground, avant garde, "little cinema." So that became my thing. We called ourselves "raving maniacs of the cinema" because Mekas had that in his manifesto. So I worked on getting him here, and in the 9th year we got Mekas and [stop motion animators] the Brothers Quay [in the 10th year]. That really stood out. You realize how small the world of independent cinema is doing this. The festival grew like a grass-roots family reunion kind of thing. Mike and I always said it felt like you're meeting relatives. We did shots of tequila with Jonas, he was drinking us under the table at Mike's house late at night — this is a 90-year-old Lithuanian-American guy, still going strong. The Quay Brothers asked us to chase down all these rare animation films that had inspired their work, on 16 mm. Incredibly, Mike found most of them, we showed them in the old VCU music building, that old gothic church. The place was packed. Much to our laughter, the Quay Brothers admitted, "there's a couple we haven't even seen, we just wanted to see if you could find them." Mike Jones: When we had Les Blank, the famous documentarian, he sent his recipe for gumbo and Katie Adams Parrish made it. He was showing a doc ["Always for Pleasure"] about New Orleans and gumbo. The VMFA said "no, you can't serve food that we haven't prepared." They've always been good to us, but this was a rule we didn't know about. So Les said, "Look, why don't we carry this huge 60-pound caldron of gumbo through the crowd?" and Les is following us around with his straw hat, fanning it, trying to get the aroma out. Then we took it outside and served gumbo in the parking lot. James Parrish: Some of my favorite years were when we had local filmmaker Jim Stramel, who makes zombie films. He was picking and bringing horror film guests, at the same time we were having Nathaniel Dorsky [acclaimed experimental filmmaker and editor]. I love the whole high and low art thing. To me, that's where the James River Fest has always lived: Film is much bigger than one thing. It's everything from home movies and horror and B-movies to high art, and literally things so esoteric: non-narrative, very different stuff. 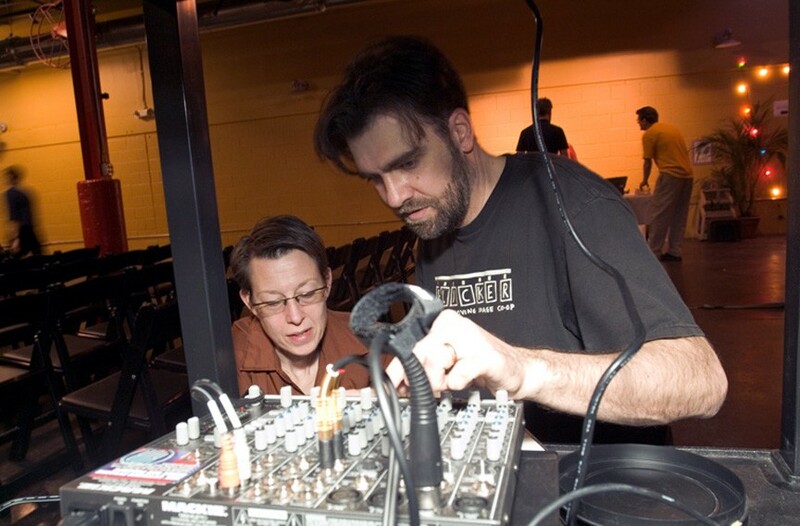 The festival’s former vice president, James Parrish, with the late experimental filmmaker Diane Bonder at Plant Zero in 2005. Trent Nicholas: In 2006, when [stop-motion animation inventor] Ray Harryhausen visited, he had one request: He wanted to go to the Poe Museum. So we went in, and he kept looking for the skeletons that were buried in the wall [laughs]. Before we left, I told the volunteer running the gift shop that in case he kept track of celebrities who visited, this was Ray Harryhausen, this major film special effects guy and blah blah. This kid in his 20s was like: "What!? Ray Harryhausen, I love Ray Harryhausen! I didn't know that was him!" He jumps up and runs out to the car to get his autograph. Jeff Roll was volunteer coordinator for five to six years and started James River Filmmakers' Forum in 2009. He has served as vice-president of the series since 2013. I started in year 10 with the festival just as a standard volunteer. When James Parrish departed at year 20, I moved into the vice president spot. I've always hosted a talk show forum for local and visiting filmmakers to screen their shorts and discuss their creative process in front of a live audience. … Even when we don't fare well, we've licked our wounds and have been able to bounce back to get enough funds to continue going. Jeff Roll: When we brought in Crispin Glover at the Byrd, we pulled in a large audience for that. I was his personal assistant for the film society, drove him around town. His favorite place was Ellwood Thompson's. He has a raw diet and buys organic, so he spent a lot of time there, and he enjoyed the art museums around Richmond. 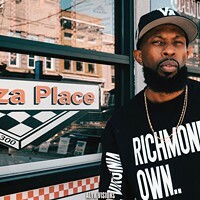 The night of the event I was out until 4:30 a.m. [Glover answered questions at length] and had to get up at 7:30 a.m. to track down a car rental for him to Northern Virginia. Ashley Kistler: Really, Mike Jones has kept this festival going through sheer will — as well as many other committed people. Institutional support has waxed and waned, VCU has been generous as has the Virginia Museum and University of Richmond. And now one of the supporters is the department of photo and film at VCU. Jeff Roll: This year we scheduled the festival a little earlier, middle of March where things are still kind of gray and rainy. … I'm actually leaving the film society at the end of this festival. An illness in the family is taking me away from the organization, and possibly the state. … But the Filmmakers Forum will continue with a new host and curator. Mike Jones: The challenge of the future is how do film festivals exist when people can sit home on their couch and watch everything? The Internet is almost anti-art, it's anti-aesthetic. I see it as putting out electronic leashes to keep people in the same mindset, to buy the same products, be on the same page. We haven't done any grant writing in a while. But we do get money from the Virginia Film Office every year. That helps. Our budgets for the year rarely go above $15,000 to $18,000 for all the stuff we do, year-round. We have a short film competition in the fall, which you've judged before, with an entry fee. Tickets, t-shirts, ads in our programs, individual donors. That's it. I just don't know how we could've gotten more bang for our buck, looking back at the guests over the years. … I tell people, we're not a red-carpet festival, we're a red-heart festival. And we still have a mission: to keep playing independent classics. I want kids to know who Stan Brakhage is, many years from now. For a list of the 25th annual James River Film Festival screenings and ticket information, visit jamesriverfilm.org. Donations to the James River Film Society can be made online via PayPal: admin@jamesriverfilm.org. Donations are tax-deductible. The festival is run by volunteers and all donations go to guest honoraria, theater rentals, travel and film licensing fees. No salaries.